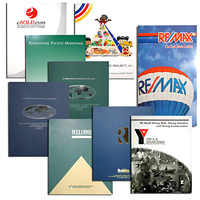 Presentation Folder | Document Folders that stand out and get you noticed. A professional presentation folder sets you apart. Need something to package your documents? Dataguide has many options when it comes to document folders and presentation folders. For more information, read below or use our quick links below on the right. 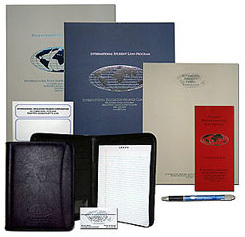 A professional presentation folder is a great way to project the right corporate image. These days, any chance you get to keep your name and logo in front of clients and prospects must be taken advantage of. 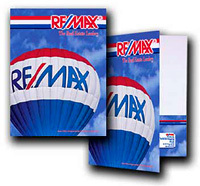 Make sure you portray the image you want with a custom presentation folder that stands out. From simple clean document folders that highlight your logo to a multi panel, multi pocket presentation folder that includes high impact graphics, to a custom presentation folder or professional document folders, all are inexpensive and effective ways to make sure clients remember you. 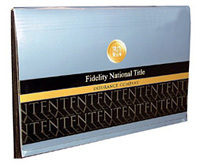 This sample, created for Fidelity Investments, is used as a welcome package for new clients of the insurance division. This presentation folder is the first thing clients receive. It holds all the required paperwork in a neat and organized fashion. The clean design and custom paper stock provide a warm welcome to new clients and makes them feel like part of the family. Click any of the links to the right for more information on presentation folders and document folders, which are available in numerous sizes and configurations. From presentation folders and document folders designed for your specific industry, to our budget program. 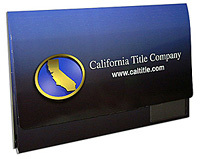 We can produce the right document holder for you. 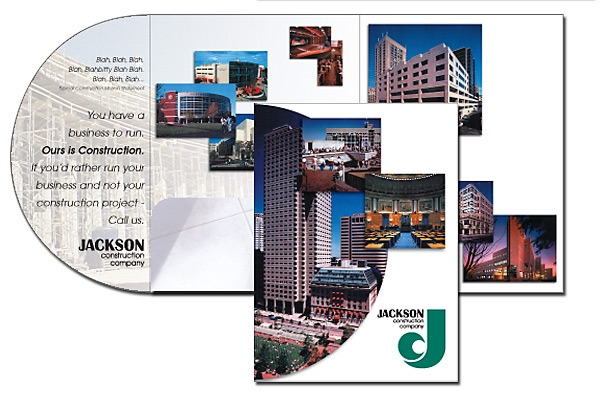 A presentation folder can have multiple features such as, extra pockets, special die cuts, and all kinds of extras that help you get your message across. This sample illustrates a tri panel presentation folder with one panel die cut to form a half circle. This sample also uses multiple photographs to highlight the work done by Jackson Construction. It's a unique style that will get noticed and be remembered. Contact Dataguide today for a quote or a sample and find out how we can help you cost effectively promote your brand. 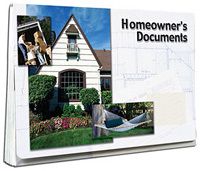 Need more room for your documents? Try one of our expandable document folders. Dataguide has specifically designed an expandable folder for real estate closings. We call it the HeRO-the Homeowner Records Organizer. This folder comes with 7 folders inside. The text on tabs are: Title & Escrow, Contracts & Disclosures, Inspections & Reports, Mortgage Records, Homeowner's Insurance, Property Tax, Other. This organizer is a great closing gift to give to your client because it keeps all the documents associated with a real estate closing organized and in one place. It also will provide your client with a reminder of your company and services. Dataguide has a generic version available to order on our website. It includes a business card sleeve on the front so you can insert your card to make it your own. For more information on our generic HeRO, click here. To order generic HeROs click here (once you are in our online store, click on the tab to the left that says sales aids). If you would like information on getting a customized HeRO click here. The customized HeRO does not need to be specific to real estate. It can be customized to fit your specific needs. Try the expandable document folder without the accordion expansions. Another expandable document folder is the Dataguide EXPO. The EXPO is similar to the HeRO. The EXPO does not expand as much as the HeRO and is not available as a generic item. If you would like information on getting a customized EXPO click here. A professional presentation folder or the right set of document folders can really set your company apart from the competition. Contact Dataguide today to find out how we can help you create an inexpensive, high impact presentation folder that projects the professional image you desire. 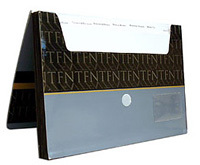 Presentation folders and document folders are available in numerous sizes with almost limitless options. Contact Dataguide today to find out how we can help you create the right document folders for your company.